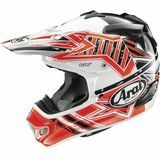 mxer - Jackson, WI Arai is one of the best "This is my fourth Arai helmet and I have loved them all. This is a quality product and it protects my head. I purchased mine when it went on sale which made the purchase a no brainer. I am totally satisfied." Hollywood - Palm Beach, FL, USA Very Comfortable! 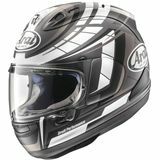 "Love this helmet, super comfortable and looks better in person!"